As a marketer or business owner, your work schedule can get hectic sometimes. You’ve got back-to-back meetings that never seem to end, constantly checking on your team, you know, just to ensure everything is on track, monitoring that marketing campaign and many other equally important activities on your to-do list. A typical working day can be a tough balancing act. But that notwithstanding, ensuring that your team is reaching the right audience, with the right message and at the right time is something that will require you to think outside the box for the most part. At the end of the day what you want is to carry out effective, efficient and cost-friendly marketing efforts that will, in turn, generate revenue and bring in new business. In a new study on how marketing automation boosts revenue, the results showed that companies that adopt marketing automation get a 39 and 40 percent boost in revenue. Another 20 percent saw revenue jumps of between 15 and 29 percent. If you are still looking for ways to increase revenue, then marketing automation is your answer. To succeed in today’s marketing efforts, you must understand each of your customer needs and personalize marketing communication with them. However, you cannot effectively communicate with each customer using traditional marketing tactics but having marketing automation can bail you out. Marketing automation is software that helps you execute marketing actions quickly and efficiently. It enables you to nurture prospects, provide them with personalized content and convert them to loyal customers. It allows you to send the right messages to each customer at the right time and in a scalable manner. How Do You Use Marketing Automation to Boost Revenue? Ninety-one percent of those using marketing automation believe it’s crucial for their overall marketing programs. With marketing automation, you can automate and measure marketing campaigns, your efficiency, lead generation, productivity and most importantly revenue increase. This technology allows you to automate, streamline, measure workflows and marketing tasks. By doing this, you increase operational efficiency and grow revenue faster. Now that you know the importance of marketing automation, here comes the good part — how to use marketing automation to boost your revenue. When you have many leads in the marketing funnel, it sometimes gets hard to figure out who is interested in what you are offering and who’s just checking things out. Lead scoring helps you by assigning values using numerical points for each lead your business generates. Score your leads by utilizing the information they provide or how they engage with your brand or website. With lead scoring, you can prioritize leads, respond appropriately and guide the potential customers into becoming buying customers. The lead scoring strategy subtracts or adds points to each lead depending on the actions they took or didn’t take. You can also track demographic data so that you can add high scores to leads that fit the ideal persona you want. When a potential customer attains the threshold you are looking for, then pass them to the sales team. The sales team will no longer have to waste time chasing unqualified leads. The overall sales cycle also becomes short. Lead generation will give you an objective system that grades the urgency and lead quality. It leaves no room for error when it comes to prioritizing leads. 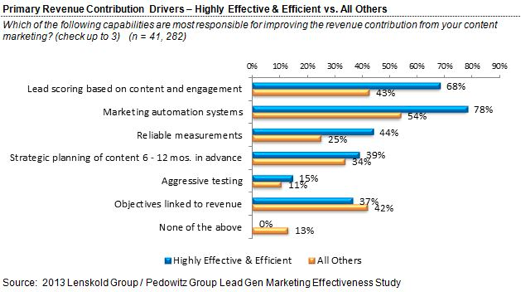 Sixty-eight percent of marketers attribute most of their revenue contribution to lead scoring. Research by HubSpot shows that with successful lead nurturing, companies spend 33 percent less to generate 50 percent more sales-ready leads. They also found that nurturing prospects using marketing automation gives business a 451 percent increase in qualified leads. Apart from helping with lead scoring, automation also reduces your response time with prospective customers. Statistics from Harvard Business Review show that most businesses take their time to respond to leads while some never respond at all. Every minute counts especially when dealing with online customers. To ensure you get a return on investment from your marketing automation, implement a system that allows you to respond within an hour of a lead contacting you. Imagine knowing exactly when a lead hits your site or checks out your product. Current buyers will visit your site if they find information that answers their question(s), or they find a product or service they want. 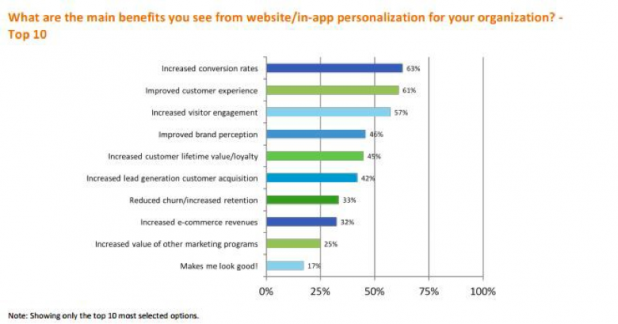 Personalizing your website ensures that you increase conversion rates by making a great first impression on the lead. Use the snippet code on your marketing automation tool to record pages your leads visit and when they did. You will get information on the source of your leads, and your sales team also gets alerts either via SMS or email, when a potential customer is on your website. With personalized content, you develop a relationship with your lead, which ensures their experience with your company is excellent. A great experience leads to more sales and therefore more revenue. Lead nurturing helps you develop relationships with your customers as they go through stages in the buying funnel. It enables you to listen to their needs and provide them with relevant information at the right time. If nurtured properly, your cold lead could lead to your hottest sale. You do this by giving your prospective customers educational and engaging information that builds their trust, counters their objections and makes them desire to have your product or service. Companies that succeed in lead nurturing, according to Forester, get a 50 percent increase in sales at a lower cost of 33 percent. MarketingSherpa reports that 73 percent of leads are not ready to purchase. The reasons are many including not realizing exactly what they want or not understanding how your products or services will solve their problem(s). 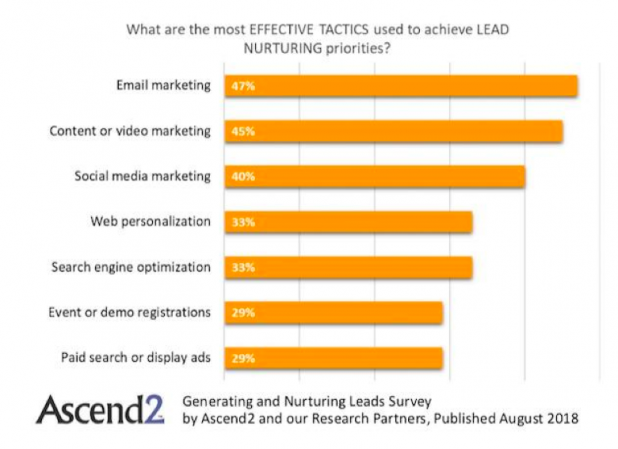 To win at nurturing leads, start by segmenting them or creating personas. Segmenting helps you create content that targets the customers at every stage of their buying process. Once they join the sales funnel, personalize your communication with them. You can do this by offering coupons and deals, using their first names on emails sent, or sending personal replies to media posts and customer questions. It’s a way of showing prospects that you value them. You make them feel special by solving their issues. By using lead nurturing, you can build sustainable and personal relationships. For example, those in the food and beverage industry can take advantage of services like free Wi-Fi. When the customer logs in or likes your social media pages, engage with them. A customer who visits your restaurant can be used to provide social media interaction. For example, provide excellent food and when they share their experience online, interact with their posts and offer promotions to help them come back next time. Generate annual offers for regular customers at the restaurant by commemorating their milestones through offers or by promoting their loyalty. Doing this will help retain the customer. You can get more tips and tricks on how to keep customers happy and engaged in this white paper detailing the challenges of marketers in the food and beverage industry. It’s also important to track these leads on every channel. Take advantage of multichannel and omnichannel marketing. Interact with your potential leads on all platforms (multichannel) and provide the potential customer with an integrated shopping experience (omnichannel). Omnichannel removes the boundaries between the marketing and sales channels so that you get a unified and integrated system. You reach your customers on mobile, on social, on the website, physically and through messaging. The customer is the focal point and you find ways to contact them on different channels. Multichannel marketing will allow your customers to interact with your products and purchase through different channels. For instance, a restaurant owner can have various channels for the customer to buy their food. They can order food online through social media or your website and have it delivered, or they can visit your restaurant. The point is, to offer your customers the choice to buy from different channels with ease. It’s pointless to do the same thing over and over and expect different results. However, you can use data collected from your automation marketing tools to track your ROI. Find out what worked in what marketing campaign and what didn’t. Automation marketing provides tangible results, and it should be helping you generate five times the amount you used to pay for it. Tracking data helps you know what program generates the best revenue results so that you keep running them or improve on them while doing away with the ones not performing. Marketing automation is the bridge that joins the sales and marketing teams for better nurturing and customer management. It also leads to an increase in revenue. With automation, you can measure, track, store customer information and nurture your leads. It’s the best bet for any marketer and business owner looking to increase revenue. Jeff Badal’s career as a content writer has spanned 5+ years, writing SEO optimized articles for all types of business industries including Cazoomi, an iPaaS startup, LogicBase Interactive, Fligno and ACADEO, the #1 blog in Cagayan De Oro City, Philippines. The post How to Use Marketing Automation to Boost Your Revenue appeared first on SiteProNews.